Celiac disease is an autoimmune disorder that comes from genetics in a person who receives damage to their small intestine when they ingest gluten. It affects approximately 1 in 100 people in the world with two and a half million Americans who are likely undiagnosed and at risk for health complications. While many know about peanut allergies and what it can do to those who have it, not as many truly understand celiac disease. Despite what you have heard, here are six more things you likely don’t know. You may have heard that someone you know had an allergy to something when they were younger, but as they aged, they simply outgrew the allergy and got over it. Why can’t people with celiac do the same? Well, it’s an autoimmune disease like type 1 diabetes or arthritis. It’s not something that will go away as a person ages and it won’t disappear if they control the symptoms. It takes constant vigilance and lifelong attention. If you know someone with a sensitivity to gluten, you might think you know how they react and what they feel. However, there are actually 300 different symptoms of celiac disease. While you probably know about digestive symptoms, there are a number of other as well such as weight loss, fatigue, weakness, headaches, early onset osteoporosis, and many others. A person with this ailment might even have skin rashes and joint pains as well. The symptoms have a large range, which makes a diagnosis difficult. It sounds easy enough to control celiac symptoms. People with the disease know what gluten does to them so they simply avoid it, right? Gluten is a general name for proteins found in barley, rye, wheat, and other such substances. But it’s hard to avoid because it’s in so many things. And people with celiac disease can’t have it at all. In fact, even small traces of gluten can make them seriously ill. They might even get ill because they ate something that was cooked in a pan that was also used to cook something that had gluten in it earlier. Gluten isn’t a necessary part of a diet, but people with this disease often have nutritional deficiencies, whether they avoid gluten or not. They are often found to be lacking in iron, vitamin D, calcium, folate, zinc, and in other areas. Leaving gluten out isn’t the only barrier they have to cross. Currently, there are no pharmaceutical cures for celiac disease. A gluten free diet is the only proven treatment of symptoms, however, one must be hyper-vigilant in reading labels to prevent accidental ingestion, and cross-contamination. Most likely 2/3 of the people with the ailment don’t even know they have it. There isn’t enough awareness and there aren’t many treatments as of yet. 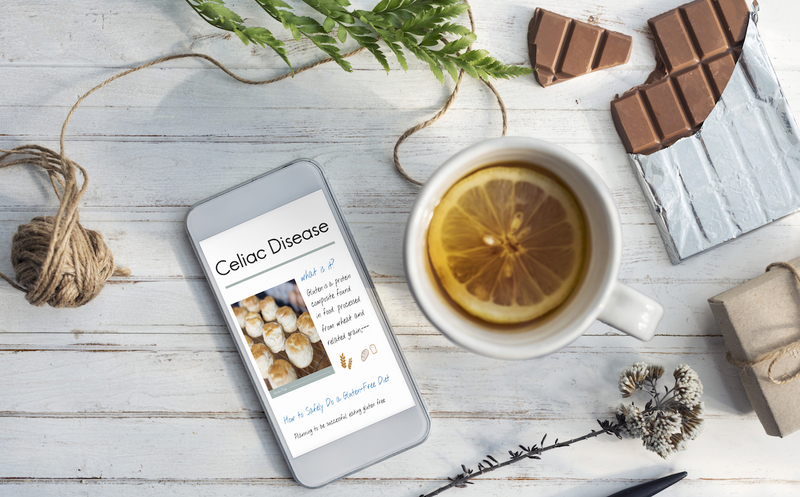 While celiac disease may seem like a fad because more people are diagnosed today than were in the past, there’s a lot more to it than what most people recognize. It’s a complicated disease with a lot behind it and the process of dealing with it can be lengthy and complicated as well.